2017 @TurlockPoker champ Michael Lin is the only player left in the field who can keep @RexClinkscales away from the 2017 @WPTDeepstacks Player of the Year title ... and Lin has to win outright the Million Dollar Guarantee $2500 Championship do pull off that feat. Jeremy Meacham was just eliminated, knocking another player out of the POY race. 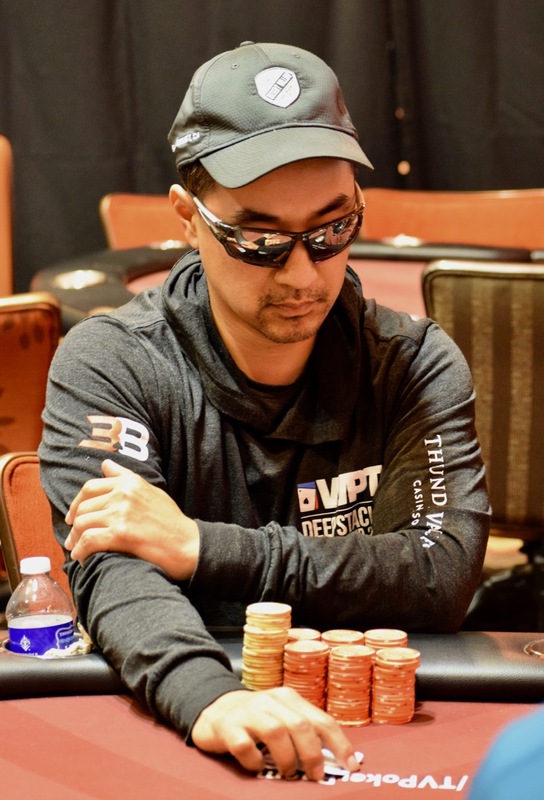 Check out Ryan Lucchesi's update here from WPTDeepStacks on the Player of the Year race.